Cary Hairabedian specializes in selling homes in the city of Cypress, California. Cypress offers an excellent location in Southern California. It is centrally located on the border of Los Angeles and Orange counties, just a few miles from the ocean. Cypress is known for being a very safe city with highly rated schools. This wonderful community provides affordable housing with easy access to major freeways including the 405, 22, 605, and 91. Home prices in Cypress range from $300,000 for 1,200 square foot 2 and 3 bedroom townhomes, to over $1 million for 3,600 square foot 5 bedroom 4 bath homes. As an informed buyer or seller, you'll make the best decisions for the most important purchase or sale in your lifetime. That's why Cary's goal is to keep you informed on trends in the marketplace using the latest statistics in your local area. As a local area expert with knowledge of the communities, Cary's objective is to work diligently to assist you in meeting your real estate goals. Cary's office; Remax College Park Realty is the largest, most successful real estate company in the area with over 180 active real estate agents, and over $480 million in annual sales. Cary personally closed over $26 million in real estate sales in 2012. In addition to being one of the highest producing agents every year at Remax College Park Realty, Cary ranks in the top 1% of all real estate agents in the United States and has received numerous awards. Cary has also been inducted into the Remax Hall of Fame and is a recipient of the Prestigious Remax Career Achievement Award for helping over 1,000 buyers and sellers in real estate transactions..
Cary grew up in Missouri, where his father was the swimming and diving coach at Central Missouri State University. At the age of 21 Cary made the decision to fulfill his dream of moving to California and living by the ocean. His father made some phone calls, and he was able to come meet his relatives for the first time. His uncle helped him get his first California job at the Cerritos Valley Bank in Norwalk, and a small apartment in Bellflower. Cary had very little to start with, literally a sleeping bag on the floor and some clothes. But he was in California and he was confident he had the most important asset he needed, opportunity. As he worked, Cary studied the way people became successful, and he discovered real estate was often the foundation of their success. Cary realized owning a home is the best financial asset a family could have, and he wanted to be a part of that success in people's lives. Thats why when Cary makes a commitment to work with you, he gives you 100%. 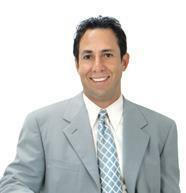 He is personally involved in every aspect of your real estate transaction. Cary really cares about the people he represents, and he wants the best for them. The majority of Cary's business is with people who have been referred to him by other satisfied clients - People who know and trust him. He understands the value of referrals, and wants to help you achieve your goals when you buy or sell real estate in the area. Give Cary a call, and you also will become a satisfied client.